For extraordinary discoveries, the Ecomuseum zoo Nature Camp is certainly the summer activity kids aged 5 to 11 don’t want to miss! We are looking for young volunteers interested in being Counselor Assistant for the 2012 Nature Camps. If you are between 14 and 18 years of age (as of June 1st, 2012), are dynamic, mature and like working with kids and animals, why not join us as a volunteer and get some work experience during the summer? Don’t miss your chance! Our zoologists are working arduously to prepare the Wild Discovery Camp – 2012 Edition, for youth aged 12 to 15. Two weeks are available: July 9th to 13th and August 13th to 17th, 2012. Five days of activities on the road to explore the wilderness in unique and unusual locations. •Witness Quebec’s exceptional fauna along with our zoologist, in a multitude of natural habitats. A unique immersion opportunity! •Climb a mountain for a population census of wild amphibians, reptiles, birds & mammals. •Discover a rehabilitation center for birds of prey and participate in a flight demonstration! •Come face to face with a master falconer and discover the secrets of falconry. •Momentarily become a frog, a fish or even an otter. Dive into their aquatic universe! •How well do you know the snakes from here? Go looking for snakes in a natural habitat that is truly out of the ordinary. 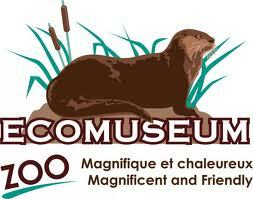 Don’t miss this unique and unforgettable experience with the WILD ANIMALS from Québec!